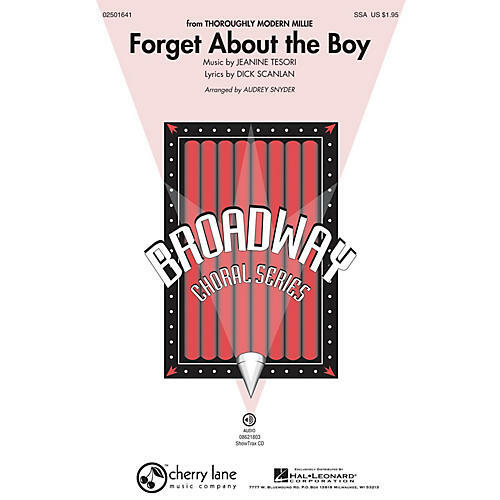 From the hit Broadway show Thoroughly Modern Millie, this 20s style romp expresses the all-too-familiar dilemma of a girl trying to get over a guy! With Charleston inspired rhythms, fun triadic harmonies and a sassy back and forth between voice parts, your SSA groups will have fun playing the flapper and your audiences will love it! Available separately: SSA, ShowTrax CD. Duration: ca. 2:30.